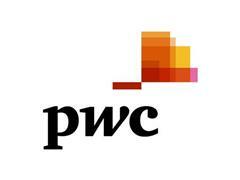 93% of company CEOs surveyed by PwC believe measuring their organisation's total impact, including jobs supported, environmental impact and taxes paid and borne could enable better decisions about business risk, and build a stronger reputation with employees, investors and regulators, than using financial measures alone. The findings are published in Measuring and managing total impact: a new language for business decisions, the result of a three year collaboration between PwC's environmental, social and macro-economists and its clients. The report examines how organisations can not only measure their total footprint on society across economic, environmental, tax and social impacts, but translate it into information to guide their strategic decisions. The study reports that after seeing "boom and bust" many people are looking beyond today's narrow notions of input, output and profit, to a more inclusive and responsible economic development, what the report describes as "good growth".